Are Your Gutters In Need of A Good Cleaning? Do you live in Olney, MD or Brookeville, MD? Are your gutters overflowing every time it rains? Do you visually see ice coming out of the top of the gutters during a deep freeze? Do you need to use an umbrella just to get out from under your roof-line? If so your gutters probably need to be cleaned. 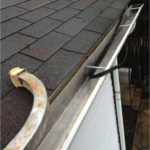 Gutter cleaning is one of the cheapest and easiest ways to protect your home from possible expensive damages that can occur inside and outside of your home. 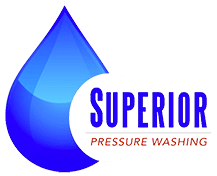 We at Superior Pressure Washing clean gutters the old fashion way, ladders, a bucket and our hands. If there is no wood around we will take away the leaves, needles and muck. If the water is on we will also rinse the inside of the gutters to make sure water is draining properly. Gutter cleaning is just one of the services we provide in the Olney and Brookeville area. Please check out our other services. Call us today at (301)-949-8000!